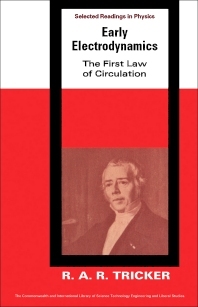 Early Electrodynamics: The First Law of Circulation accounts the development of electrodynamics. The title details the achievements of electrodynamics in its early days. The coverage of the text includes the various personalities that contributed in the development of electrodynamics. Next, the selection also reviews the materials that helped set up the rules according to which the forces which one circuit carrying an electric current exerts upon another nearby, may be calculated. The fourth chapter discusses the criticism on electrodynamics. The text also examines the criticism on electrodynamics when it initially introduced. The book will be of great interest to engineers and scientists who are dealing with electrical theory.